Froelick Gallery is pleased to present our twelfth solo exhibition with Portland-based painter Kevin Kadar. 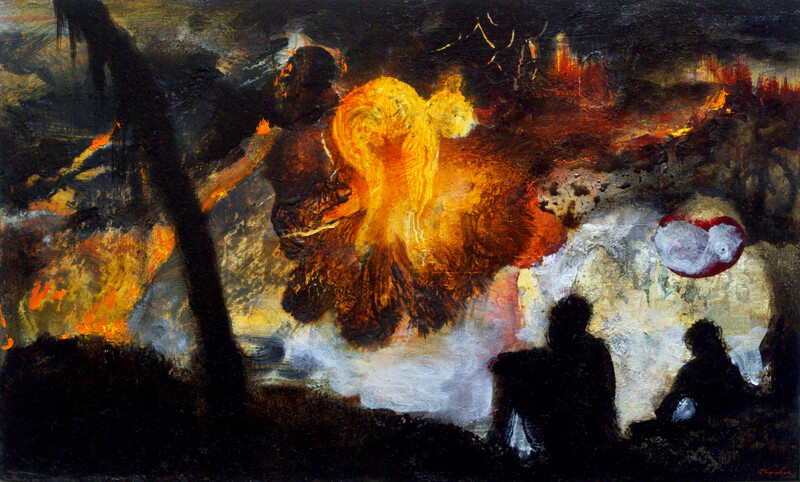 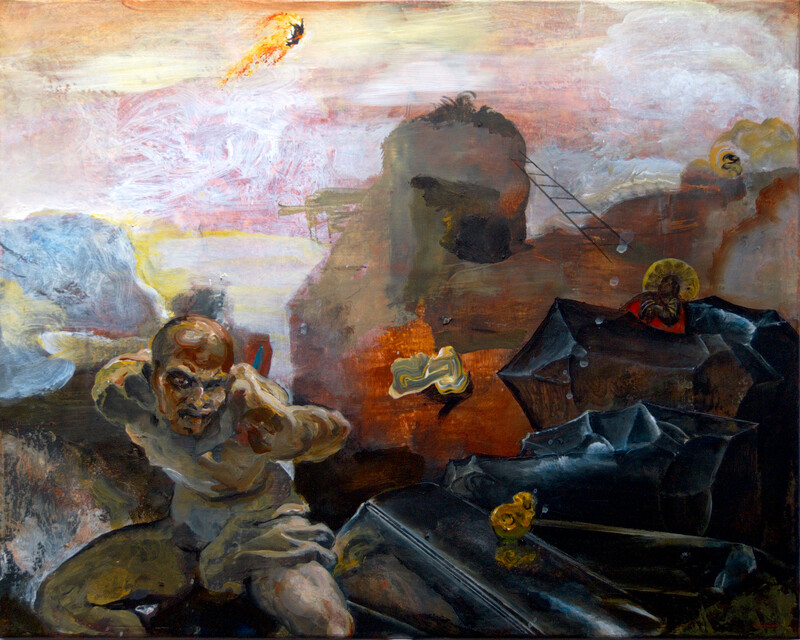 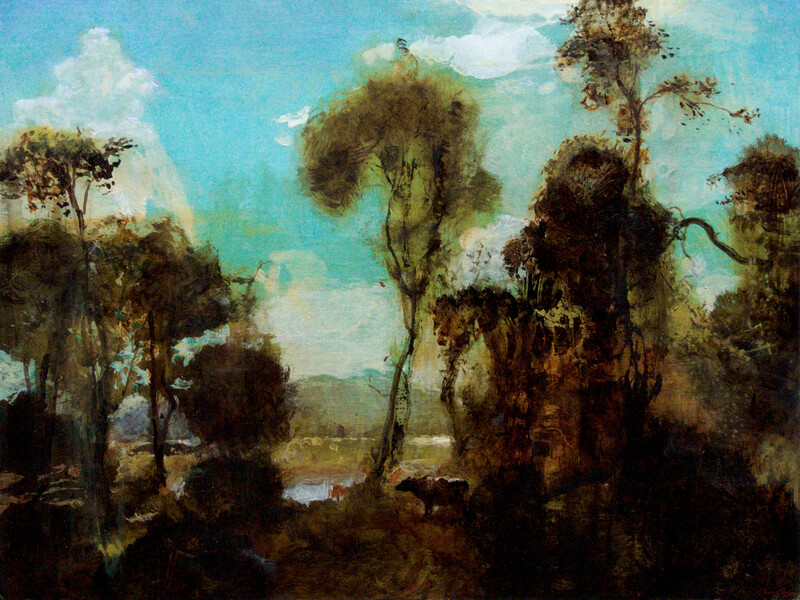 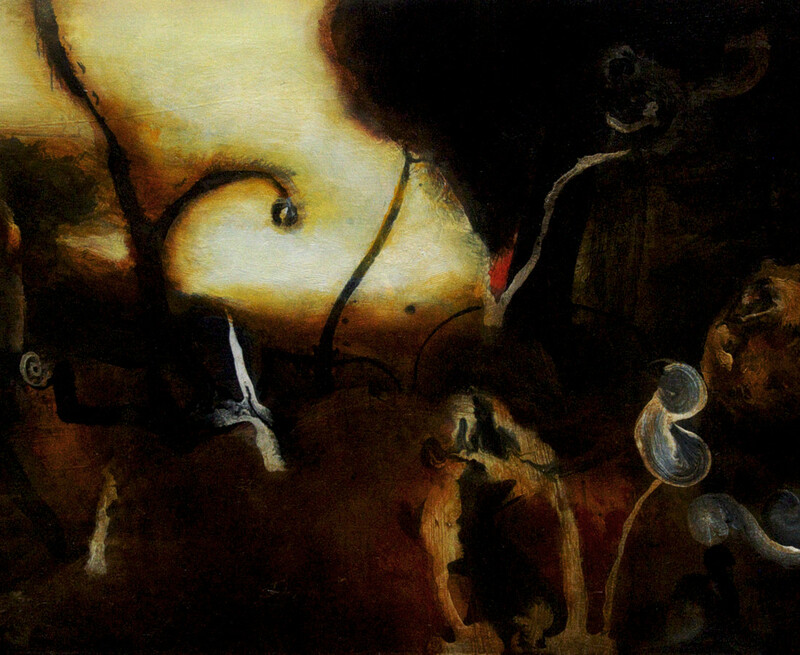 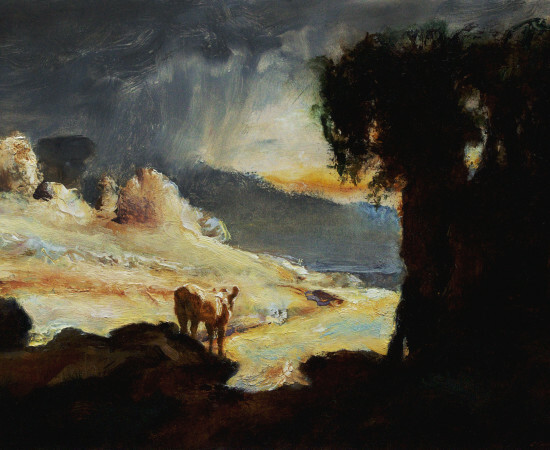 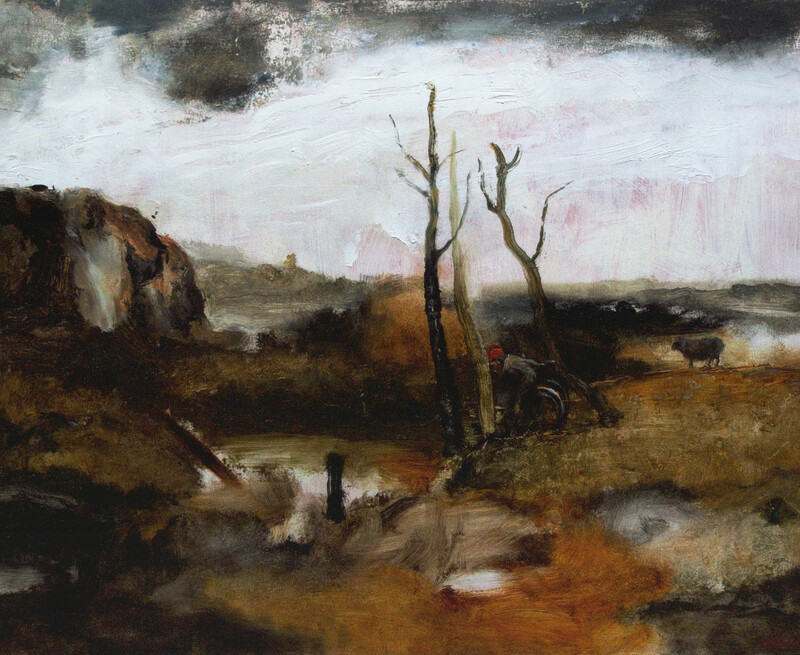 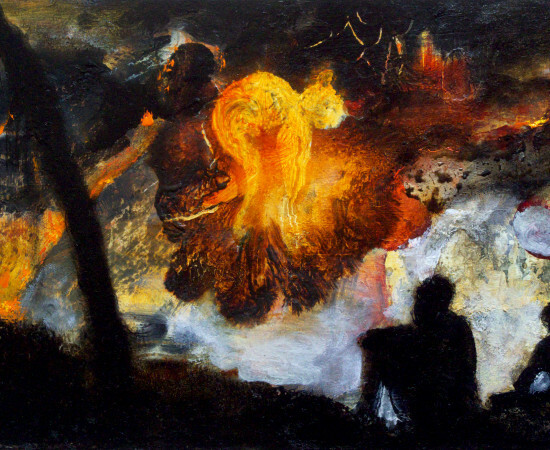 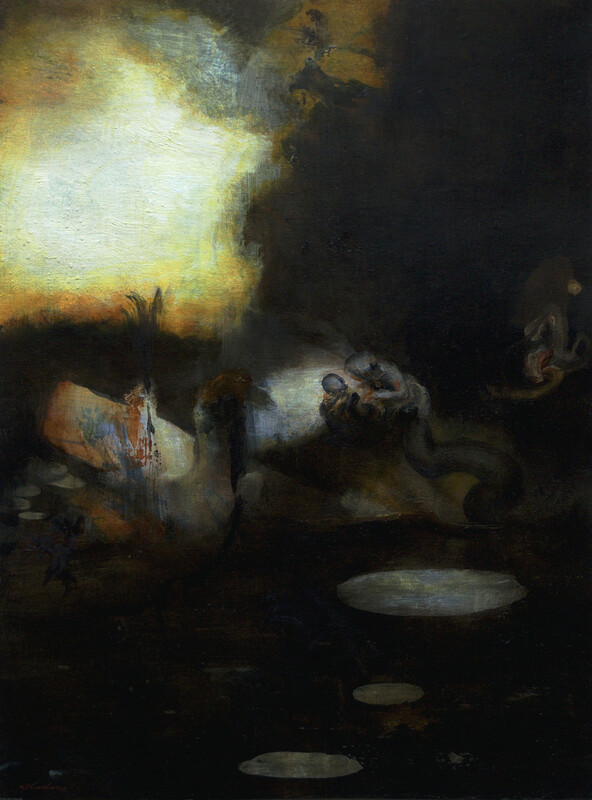 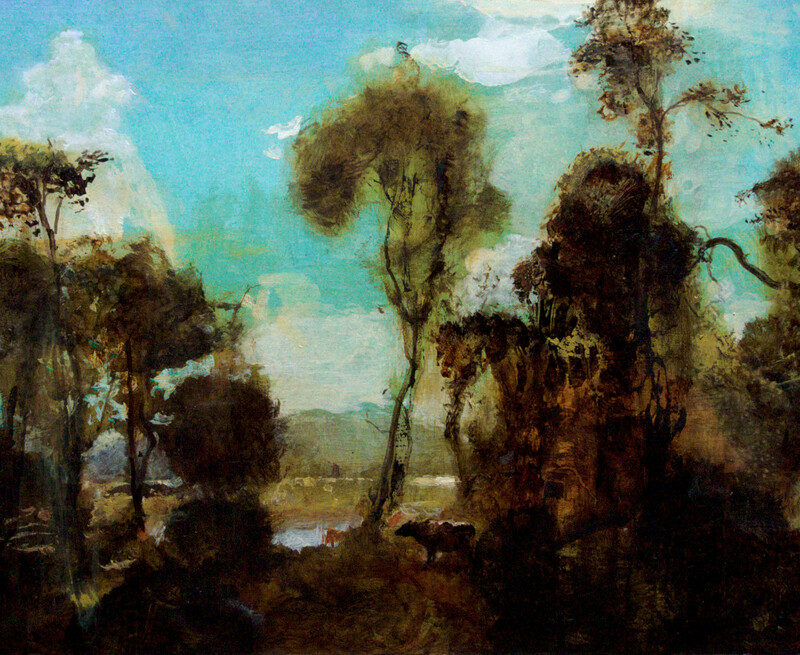 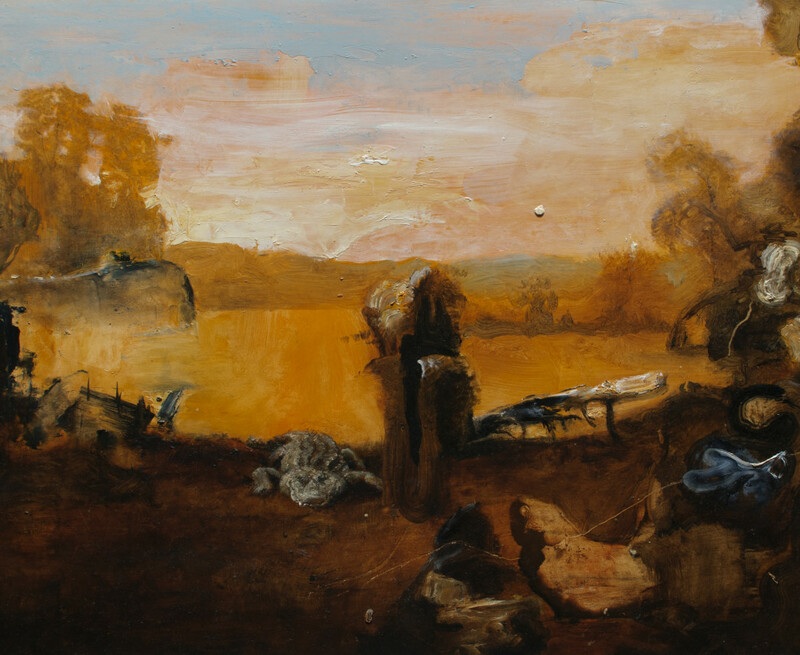 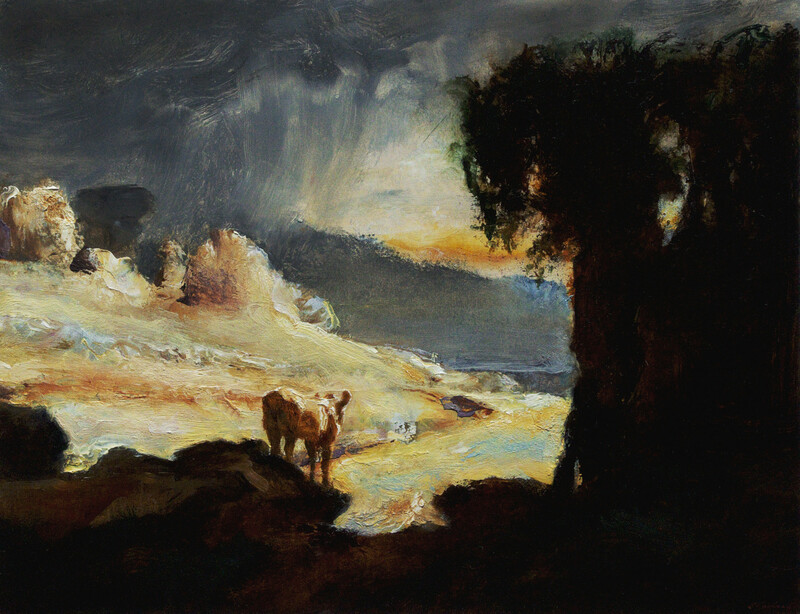 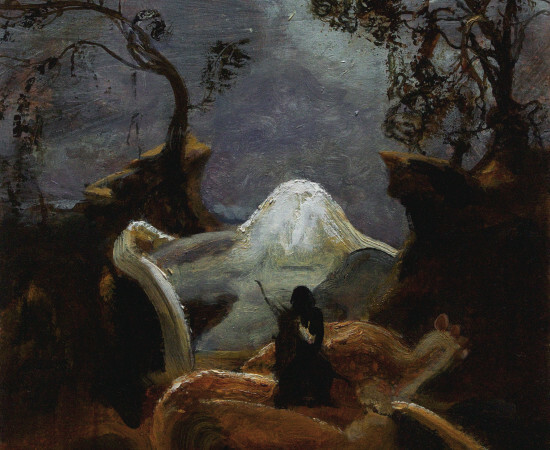 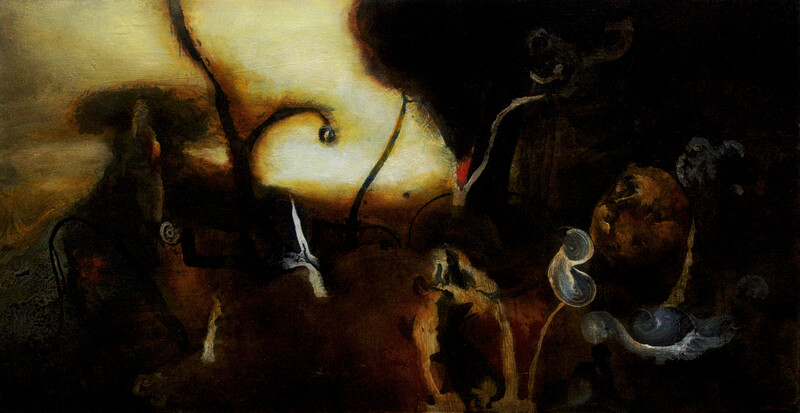 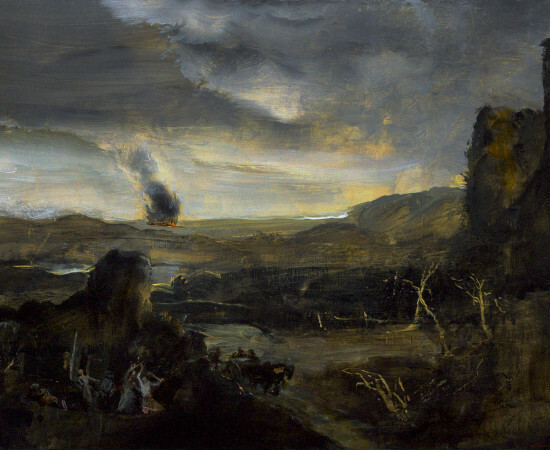 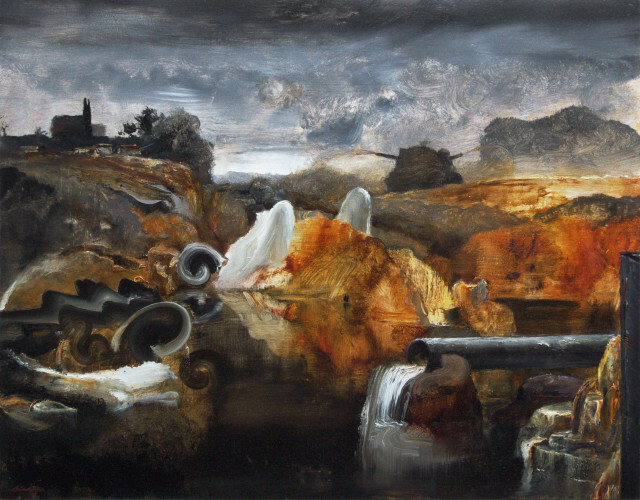 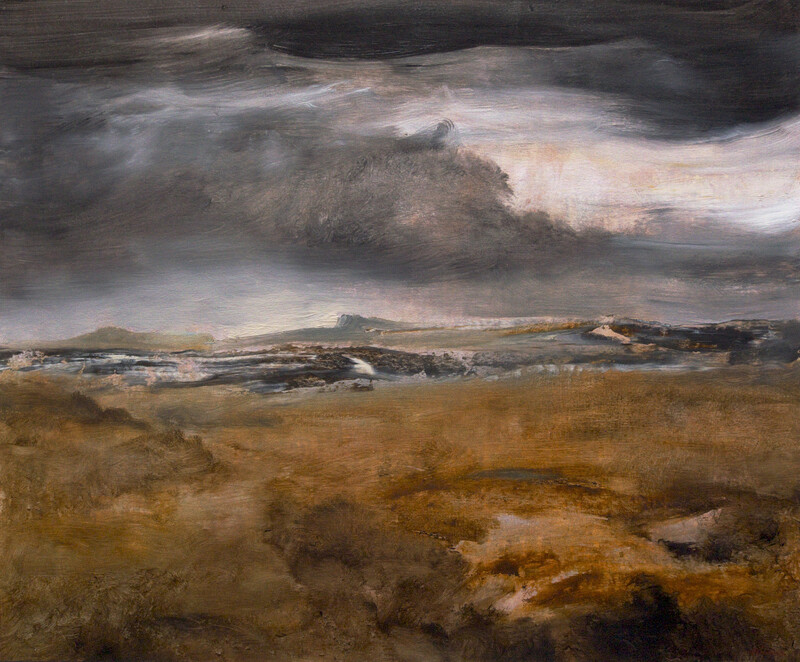 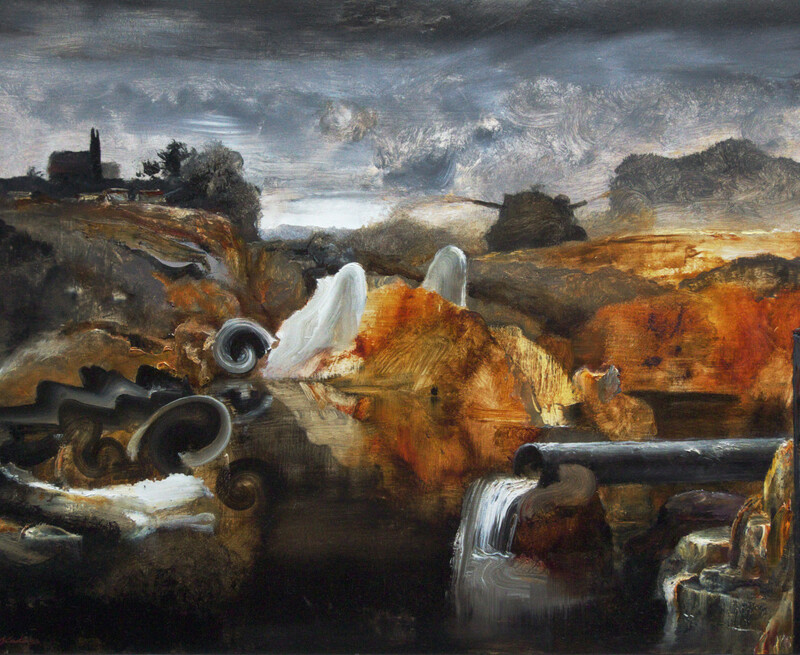 The works in Desire and Dread Revisited (a nod to a similarly-titled show from 1991) can be seen to describe a journey through an allegorical contemporary landscape. 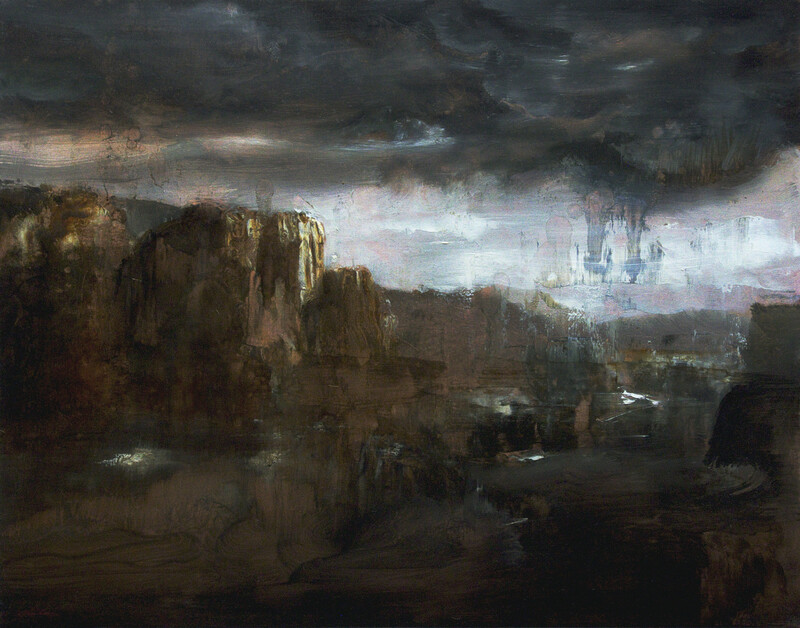 Initially appearing as scenes of plains and plateaus nodding to Romanticism, Kadar infuses them with heavy, ominous clouds, perilous expanses, and sickly grey bodies of water. 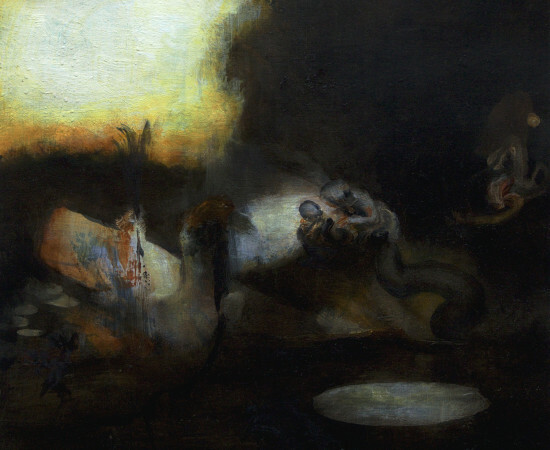 Animals like cows and alligators stand in for traits like naivety and ill-intention, respectively. 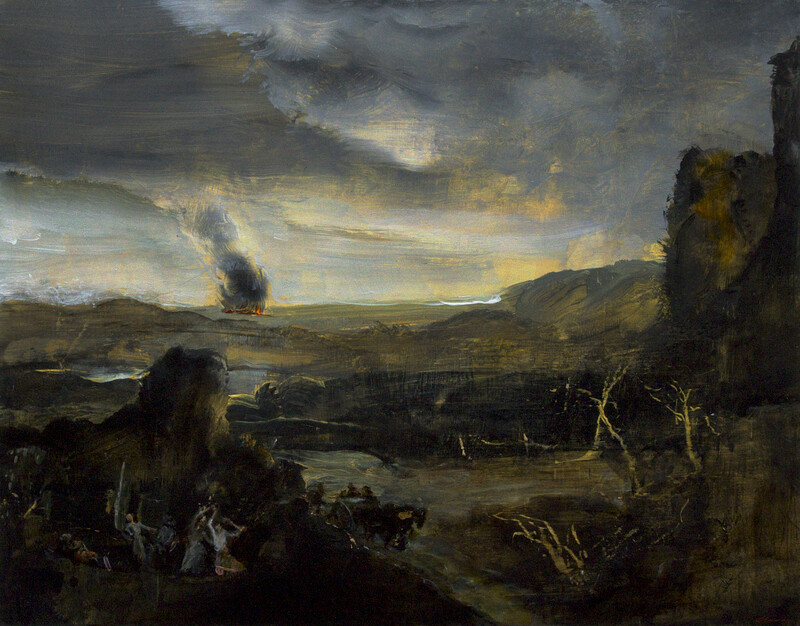 Fires smolder at a distance, the sun hangs weakly behind a choking haze. 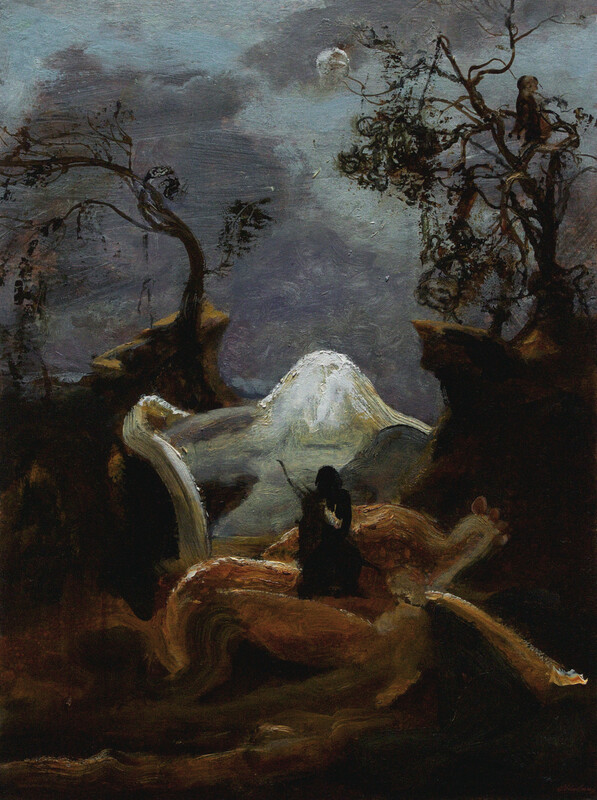 A clear but treacherous path forward, from vantage point to vanishing point, seems to present itself in within each composition. 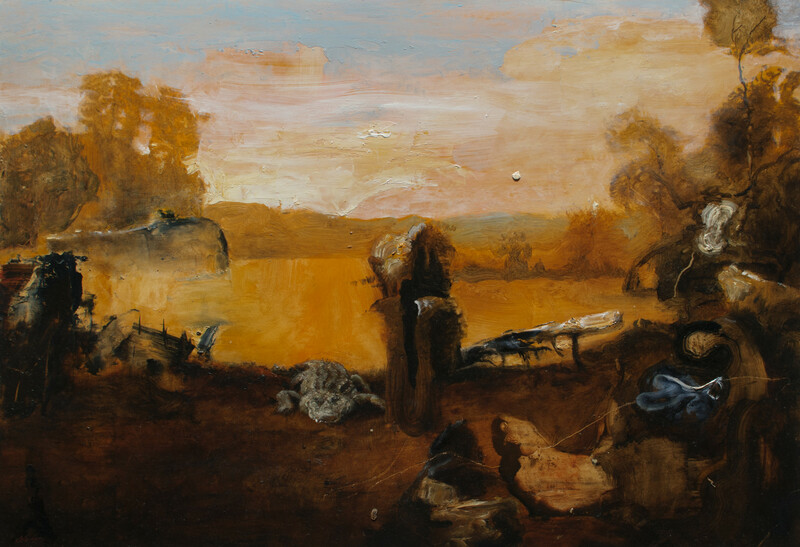 Gravely concerned with the current political climate and environmental ruination, Kadar dives deeply into today's uneasy zeitgeist; he finds, and shows us, much reprieve in the act of painting and in creating works of unimpeachable beauty and humanity from such fraught subjects.